We’re all ears! Start by sending an email to our product team. See a product at an event or fair you wish you’d purchased? Have a favorite product that you want more of? Email us! Many common questions are answered here, including our return policy. Why is there a charge from Collective Goods / Books Are Fun on my credit card? The charge to your card is from a purchase made at one of our local events or school displays. The corporate events are normally set up in hospitals, medical facilities, government organizations, and many other corporate locations. Items sold at the fairs include books, gifts, greeting cards, media and other educational items. Although the fair you attended could have been anywhere in the U.S., the charge may be identified as coming from Louisville, Colorado because all credit and debit card charges are processed through our home office. The posting of your transaction can take 7-14 days or more from the date of the actual purchase at one of our book fairs. It takes a bit of time for your local partner to process all transactions from the event. I’m trying to order and pay for an order at my school. How do I pay and how does my Local Partner know what I want to order? These systems are used for making payments for school display orders. Please continue to use the order form to choose which products you would like to purchase. To make a payment using either method, you’ll need the Local Partner Number or Local Partner Code from your order payment slip. 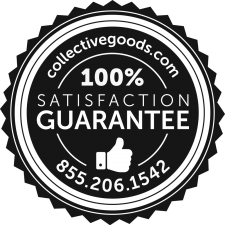 If you don’t have it, contact us at help@collectivegoods.com and we will be happy to provide that for you. After you make a payment, you’ll receive a 9-digit confirmation number. This number should be written on your payment slip and placed with your order form so your local partner has all pertinent product and payment information to fulfill your order. Why can't I buy a specific product online from you? How can I contact my Local Partner? We have a large selection of products available online, but our newest products are available exclusively at our events and displays. You can search for a local event here. How can I contact my local Partner? Please contact us at help@collectivegoods.com. We’re happy to provide the contact information for your local partner. The best way to schedule an event is to visit our Host An Event page. We recommend that you plan your event 2-3 months in advance. How much does it cost to host an event? Not a thing! If you are interested in hosting an event, please read our Host An Event page. For electronics, if manufacturing defects occur after 30 days, please contact the manufacturer to determine if the product is covered by a warranty. If you prefer, we would be happy to assist you in this process – simply contact customer service at the phone number or email above. Brands we sell that are deemed electronics and kitchen appliances are: Boom, Chic Buds, Cuisinart, Fitbug, Fugoo, MIO, Monster, iVideon, Parrot, Polk, Samsung, Skullcandy, Sound Logic. For a full list of manufacturers, please click here. PLEASE NOTE: All sales on HDTVs are final. For defects that occur within or after 30 days, please refer to the manufacturer warranty for repairs or replacements. Refunds or exchanges will be issued following the return of the item. Please note that in some cases replacement items may be unavailable due to limited supply. In such cases, a refund or exchange for a different product may be offered. City and state, school or organization, and date your product was purchased. Your Collective Goods local partner’s name if possible. The method of payment: If by check, please include the check number and the total. If by credit card, please include the charge amount and the last 4 digits. The reason for your requested refund or replacement. How can I get an independent representative position with Collective Goods? For partnership opportunities with Collective Goods, visit our Work with Us page. How do I contact Collective Goods? Our normal customer service hours are Monday—Friday, from 10am to 5pm (ET). When e-mailing us, please provide as much information as possible to better assist you. How do I submit a book to Collective Goods for review?